How do you onboard new parents? 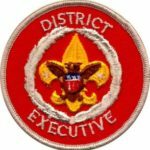 As young people cross over from Cub Scouts to ScoutsBSA‘s programs, their parents frequently follow. Often, the more involved adults have been volunteer leaders in their childrens’ packs, and it is this source of talent that many troops seek to help do the many things that adults do for the Scouts. The ScoutsBSA program differs substantially from Cub Scouting in that the responsibility for carrying out the program rests on the youth members rather than on the adults. The transition is meant to be a smooth and continuous one for the youth, but can be disruptive to the adults who have been used to running the show for the last several years. When I crossed over with my son, I lacked a clear understanding of how a troop operates. I joined a group of adults who, to some extent, also lacked that sense, and found myself basically in the midst of a somewhat adult-led troop. Upon joining the troop committee, I attended Troop Committee Challenge training for committee members, but that training concentrates on the functioning of the committee – advancement, finance, camping, etc. – and didn’t offer much in the way of guidance on the nature of the youth-led program. That was covered in the training for Scoutmasters, but committee members weren’t expected or required to take that course. After gaining experience and understanding through the “school of hard knocks” (and making many mistakes), I formed a clearer picture of how a troop is supposed to operate. As committee chair, I set out to try to help new adults coming in, either as leaders or interested parents, understand how the troop operates in two “lanes” – the program side, led by the senior patrol leader and aided by the Scoutmaster, and the administrative side, which the adults on the troop committee tend to. Using the new-parent orientation guide offered by the Boy Scouts of America, tuned through the years by our own experience and requirements, we introduced dozens of parents to the joys of Scouting where the adults didn’t have to run quite as many things. Orienting these new parents was the responsibility of the ScoutParents Coordinator (once a registered position, now falling under the Committee Member function). Besides offering the informational orientation, the coordinator would enlist parents to perform various functions, such as overseeing fundraisers or providing transportation, and serve as a resource for identifying potential committee members or Assistant Scoutmasters. Many troops follow a similar process, but there are also many who really don’t do any formal onboarding (to borrow a term from corporate culture) – they don’t have a plan or training in place for those new parents coming our way. It’s not unusual for organizations to let this one slip through the cracks, though. A recent survey showed that, in the corporate world, about half of companies do little or no formal onboarding of new managers, and another 40 percent offer some initial orientation but leave it up to the new manager to figure things out. You’re not setting these people up to succeed if you don’t get them acclimated to the culture, set expectations, and teach them critical things they need to know. While you might say “I’m too busy for that, and they’re smart enough to figure it out on their own,” ask yourself how much busier you’ll be when they quit or get fired, and you have to hire a replacement and pick up the slack in the interim. 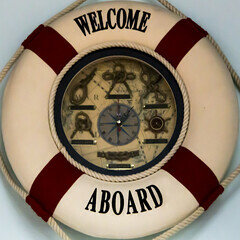 Make the time to get your people properly onboarded. They’ll be happier and more successful when you do. Make sure you not only welcome your new parents with a warm handshake and a cup of coffee – but also with the information and guidance they need to smoothly blend in with the troop structure and culture. Happy, engaged parents who feel welcomed and useful are often one of the best mechanisms for retaining youth members – if the parents know their role and have fun, their sons and daughters will stick around as well.